Old Trafford, Manchester - Manchester United Blog: Will Valencia be missed? He's been one of the best performers for United over the past two months so how will his absence affect the team? The return of Nani should soften the blow of losing Antonia Valencia - out for a month with a hamstring problem - but how do the two wingers compare? 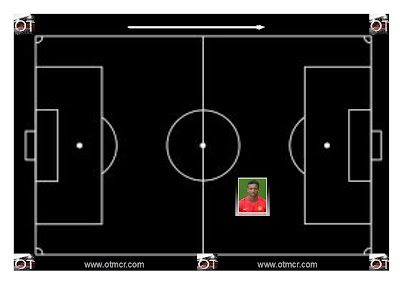 United started the season in scintillating form with Nani a key part of the attacking fluency. 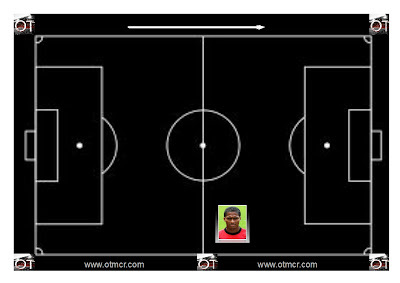 Against Spurs at home he took up a narrow position as we see from the blackboard above. 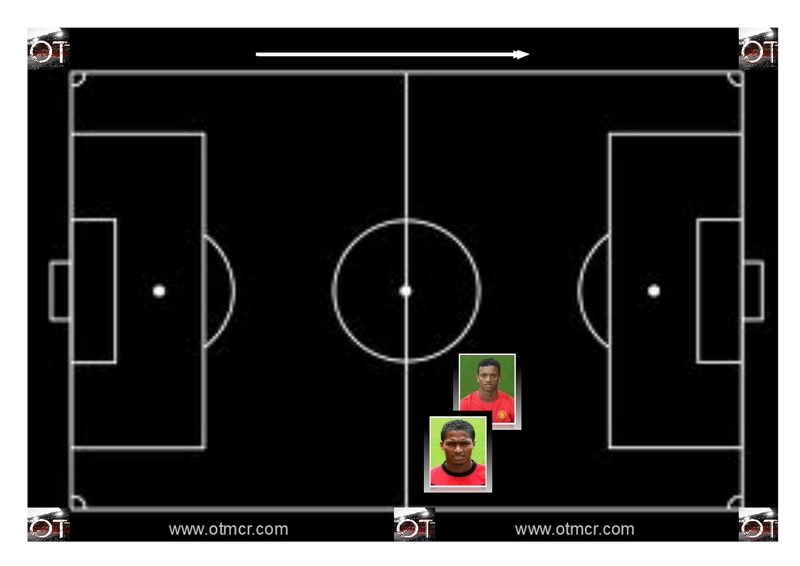 In all three of the matches analysed, Nani maintained a rather central position, in off of the touchline; taking him into shooting positions. Against Spurs he had 5 shots, against Chelsea he managed 2 and at Liverpool 1; an average of 2.66 per game against these high quality opponents. He scored one goal - against Chelsea - and created 7 chances for team-mates (6 of which were against Spurs) resulting in 0 goals. 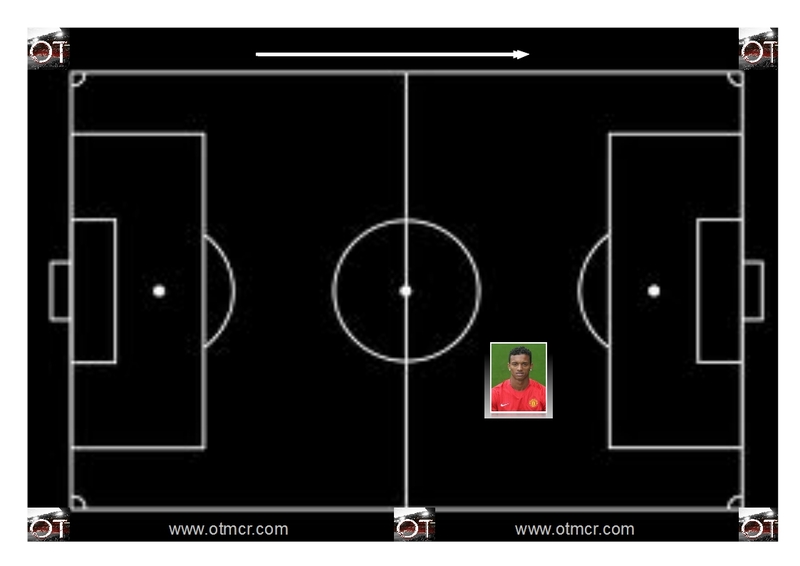 So it is clear from the blackboards that Valencia assumes a wider and less advanced role than Nani. Even so, he still gets forward to great effect. 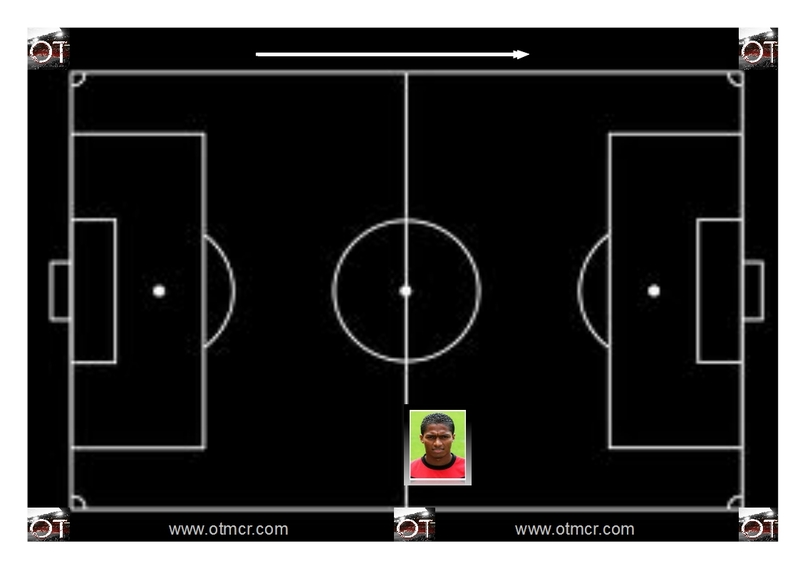 Although his wide position restricts shooting opportunities - he had zero shots - Valencia managed to score from a header against Arsenal. He also created 2 goals over the 3 matches analysed, setting up Welbeck against Arsenal and Rooney against Liverpool; not forgetting his vital, albeit indirect, role in Chicharito's equaliser at Stamford Bridge. 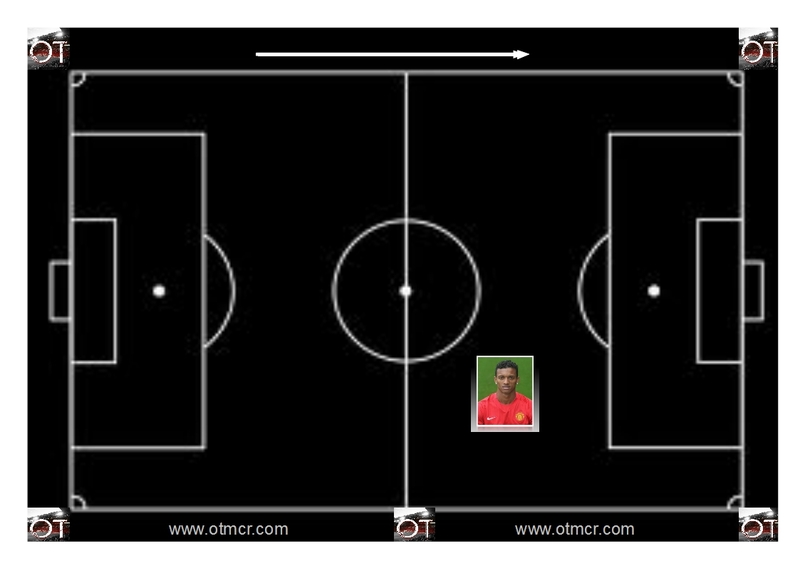 In terms of chances created he managed a total of 5, resulting in 2 goals - and all of this in spite of the fact that two of the games we analysed were away from home compared to just one away game for Nani. There is certainly strong evidence to suggest that Valencia's absence will be felt; but to what extent? 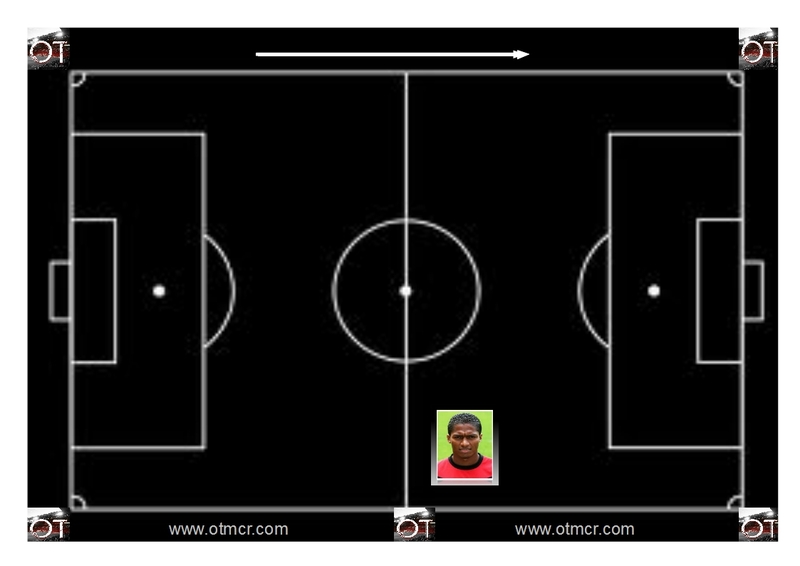 We have shown how effective the Ecuadorian is, particularly in away games where his defensive work is diligent and yet does not dampen his attacking threat. 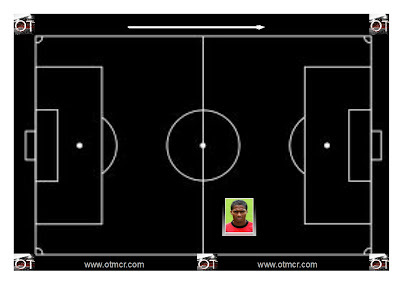 His position on the touchline provides width and also forms a vital outlet when the pressure in on. 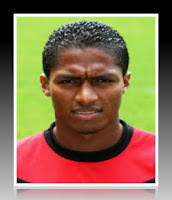 Nani, by comparison, is a free spirit who provides less width and less certainty for his defenders. 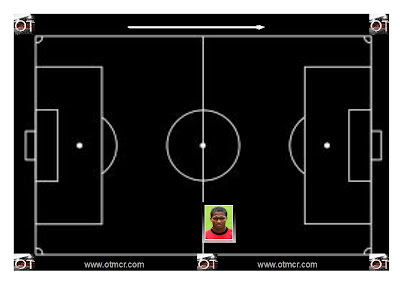 He plays further up the pitch than Valencia, drifting inside to find shooting positions as often as he seeks to cross. With his trickery and positional drift he can help create movement in the front line, making him unpredictable. He can sometimes seem to be a luxury, particularly when it is not quite happening for him. But even when off form he always seems to have at least one big moment in him (eg. his part in the opening goal away to Ajax). In conclusion, we reckon that it is in the big away games that Valencia's absence will be most keenly felt. It is a blessing that he was available for the trips to Chelsea, Arsenal and Man City in the cup where his tactical discipline was important. He was excellent in each of those games. 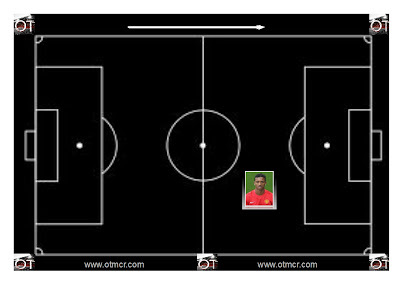 Even so, in home games and against lesser opposition, United should be able to afford Nani the freedom to create. The Spurs game in early March is perhaps the only cause for worry.